Senator Cynthia Villar asked the Department of Budget and Management (DBM) to review the conditional cash transfer (CCT) program, in light of its failure to improve poverty incidence in the country. Villar noted that despite the CCT program, the poverty figure of the country remained the same. I support CCT but can we review the model of our CCT? We have been doing CCT for the last six years, sabi n'yo nga the poverty figure did not move from 27 percent. Ang target ng Aquino administration is 17 percent but it didn't move after doing CCT. I just want you to review the model of our CCT. The Philippine version of the CCT program, known as the Pantawid Pamilyang Pilipino Program (4Ps) is said to be one of the biggest in the world, having a current budget of P78.7 million with 4.4 million households enrolled. But unlike CCT programs in other countries, Villar said that the Philippine model does not require production from the beneficiaries. Instead, the beneficiaries are given the condition that they will have regular visits to community health centers, keep children in school, and participate in government-sponsored health and nutrition programs. Impact evaluation studies, according to World Bank Country Director Motoo Konishi, show that CCT beneficiaries use the money for food and school-related expenses. The studies attributed the 5% increase in enrollment among poor elementary school children and 7% increase in secondary education in 2015 to the program. The CCT program also had positive effects on the following: prenatal and postnatal care (+10%), delivery of babies in health centers by health professionals (+20%), intake of Vitamin A and iron supplementation by children (+12%), and weight monitoring visits to health facilities (+18%). 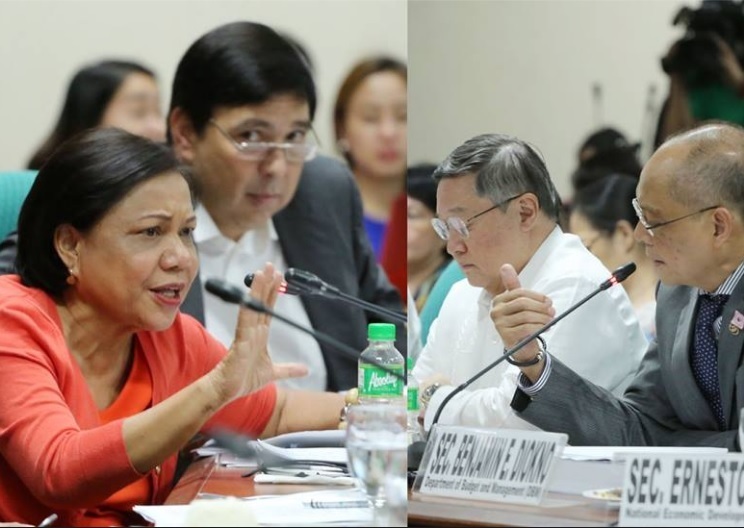 Still, Senator Villar cited the difficulty in checking if the conditions set by the government are really met by the beneficiaries. Besides,the lady Senator was on the dot when she said the incidence of poverty in the country is stuck near 27% for the past six years even with CCT. Compare that with CCT pioneer Brazil, which registered dramatic changes in the poverty level of said country. Through its CCT program named Bolsa Familia, inequality in the country was cut by 17% in five years, and poverty rate fell from 42.7% to 28.8% in the same period, according to The Guardian. Perhaps DBM should follow Brazil's CCT model, where transparency is one striking feature of the program. All the names of beneficiaries are available on a website which can be accessed by anybody. And virtually anyone can file or report abuse. Publishing the names of beneficiaries would weed out people who others claim are part of the CCT program, despite not being qualified based on government criteria. I don't mind spending for CCT, but make sure that the model is right. Kasi baka mamaya mali naman ang modelo natin, masayang ang pera at hindi rin natin mapababa ang kahirapan, hindi rin mapalusog ang kabataan who will be very essential for the future of our country.